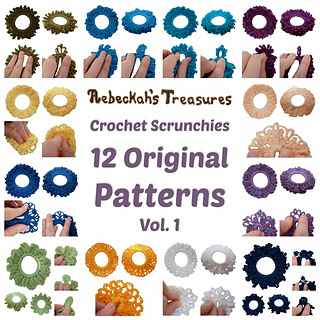 Now you can crochet 12 Original Scrunchies of your very own with this first Volume of Crochet Scrunchies by Rebeckah’s Treasures! 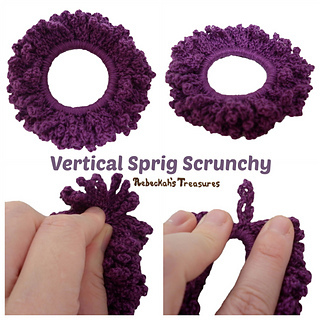 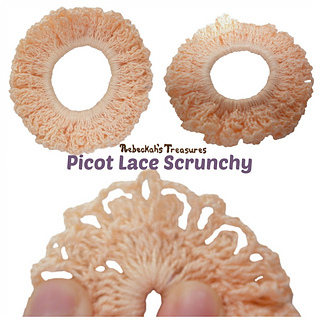 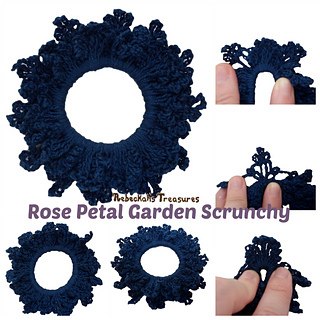 All scrunchies are worked in the round onto a ponytail band. 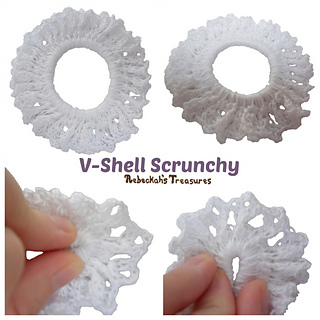 Some of them are worked in one round, while the others are worked in two, three or four rounds. 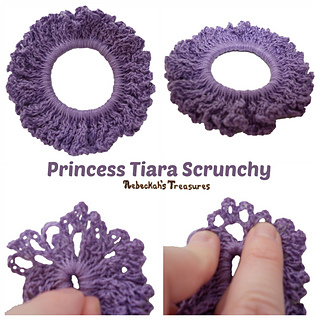 This crochet pattern has 14 pages, is in PDF format, and uses US Terms. 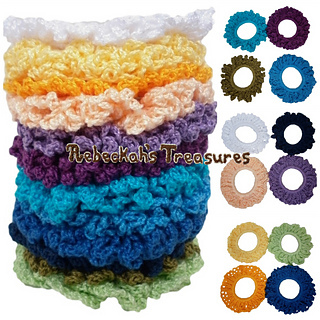 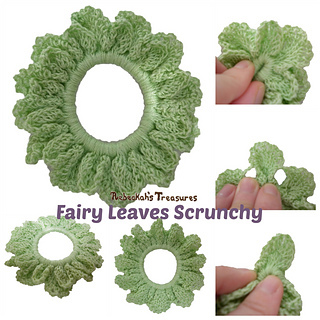 Purchase this Complete Volume of 12 Crochet Scrunchies for $3.00 and save 50% off the total value! 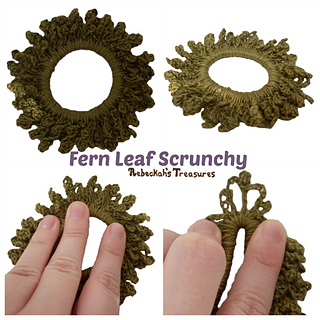 Note: Each of these mini booklets are available for $1.50 and each one has 3 scrunchy patterns.